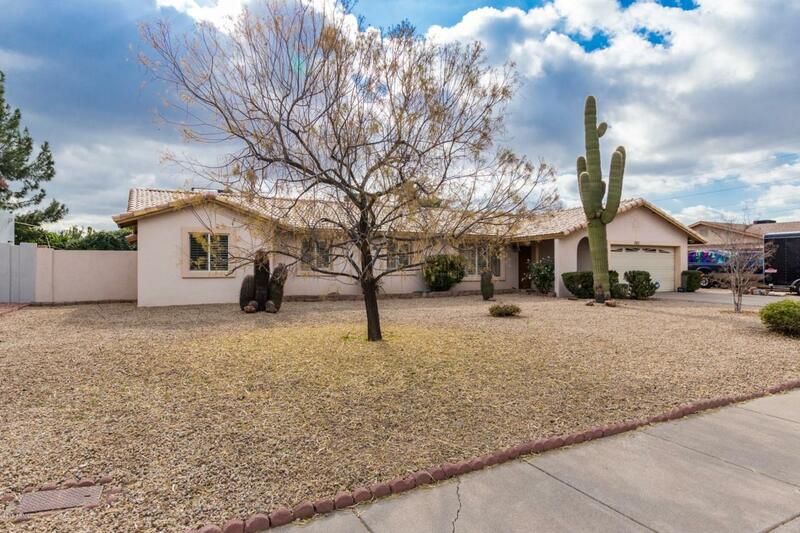 Spacious Scottsdale single level home awaits you! 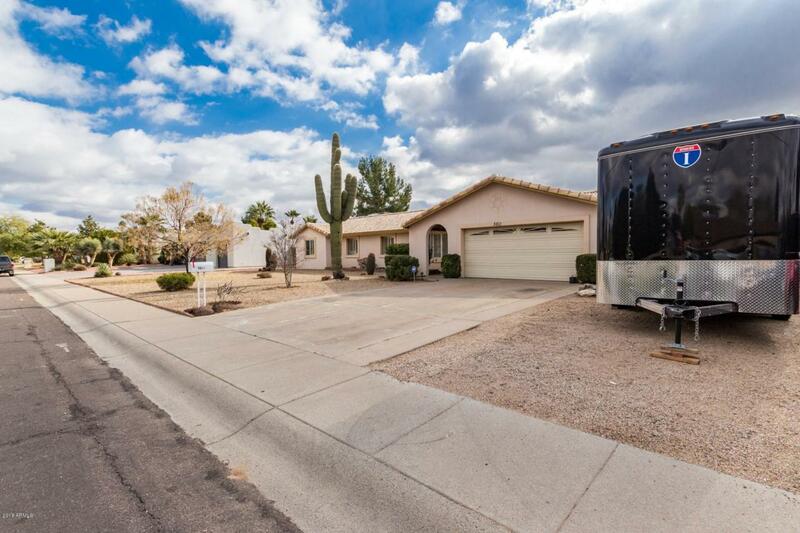 Located on a large lot complete with RV gate and parking, this home boasts great upgrades. 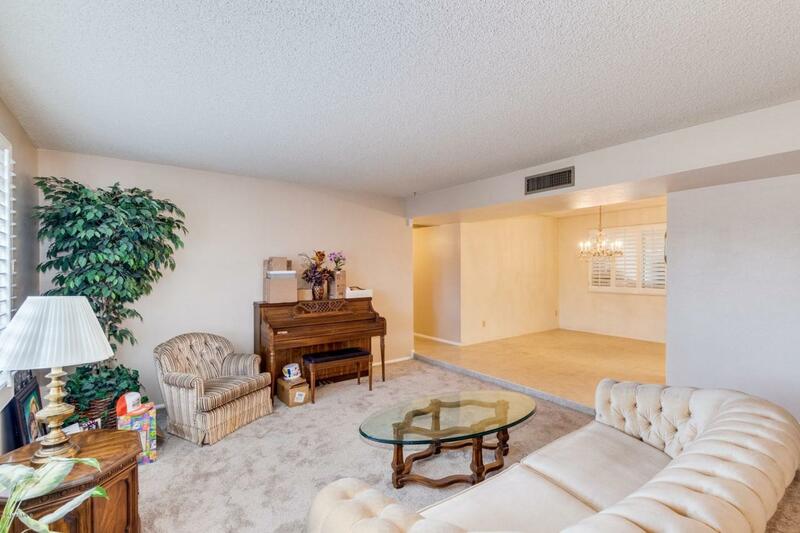 This living area is host to a beautiful corner brick fireplace. The kitchen has a breakfast bar and two dining area options, always good for entertaining. Rich cabinetry and ample counter space finish the kitchen to perfection. Plantation shutters always add the perfect touch. The master is generously sized and is complete with an ensuite of a beautifully tiled tub/shower combo and granite countertop. This large backyard is not only complete with a resort style pool but a covered patio and storage shed as well! Mature trees/palms and parking spot are always a plus! 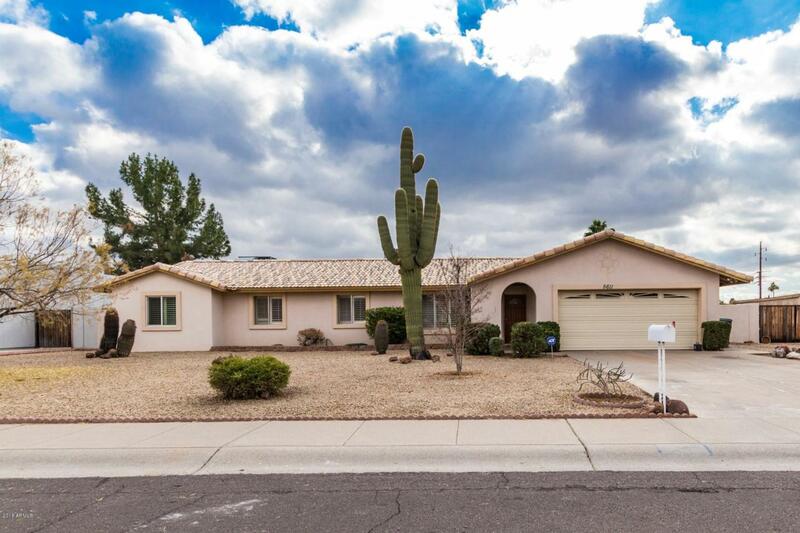 This home is priced to sell - see it today!